I’m writing this post sitting on the porch outside the house that I rented inside Bako National Park. It’s been a rainy day, I spent the last two days hiking and now I just want to sit here and share my experience about this place, I only hope that monkeys won’t be attracted too much by my pc :-), they are really quick in stealing things from tourists! 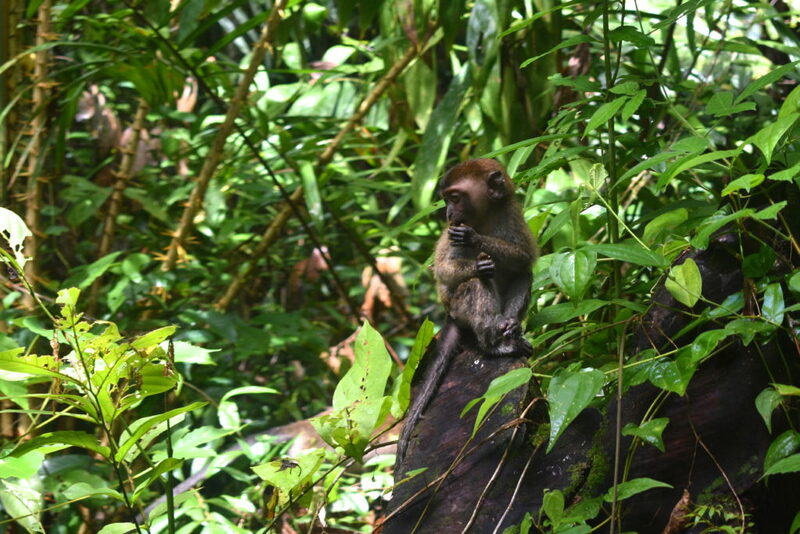 Bako Park is a natural reserve located in the Malaysian part of the island of Borneo, once one of the wildest forests in the world, now a precious source of wood. 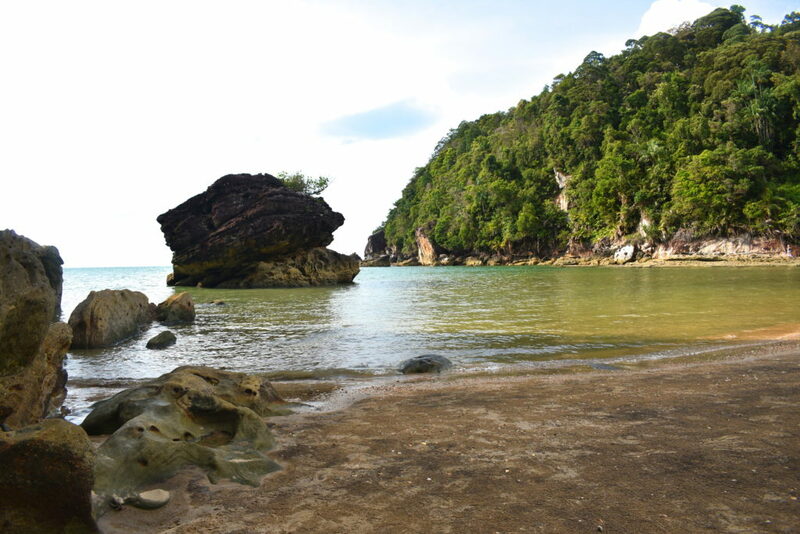 If you are staying in Kuching or other areas in the Sarawak region, Bako is a must-do visit; the majority of tourists come here for a day trip, both on their own or with one of the many organized tours, but I strongly recommend you spend at least 2 or 3 night inside the park to enjoy every single aspect. 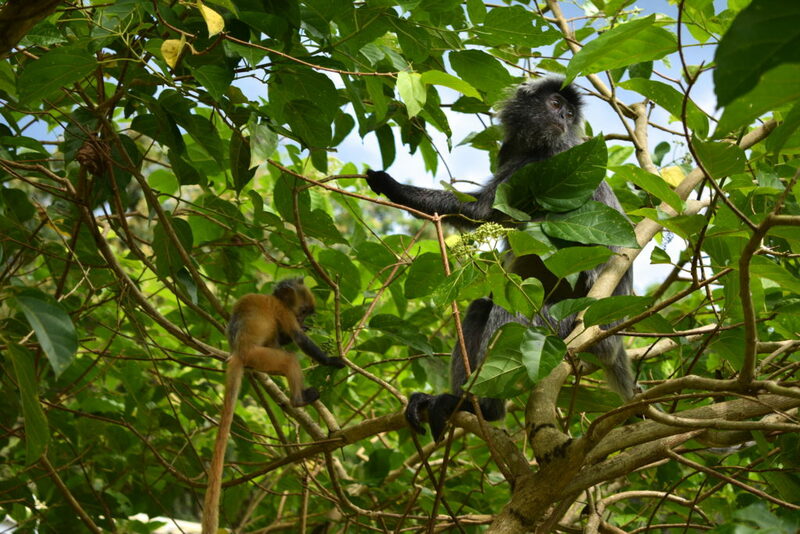 The park offers a variety of trails, a waterfall, different beaches (although you are not allowed to swim there because of crocodiles), lodges and a canteen. But most of all Bako is a perfect place to see wild animals roaming free; monkeys, pigs, snakes… each one of them leaving their life in peace. Many people like this park because of its many trails, but I actually hate hiking, I do that only if I have a reasonable possibility of seeing wild animals. To tell you the truth… I saw many wild animals, but not while trekking, they were all literally around my house. 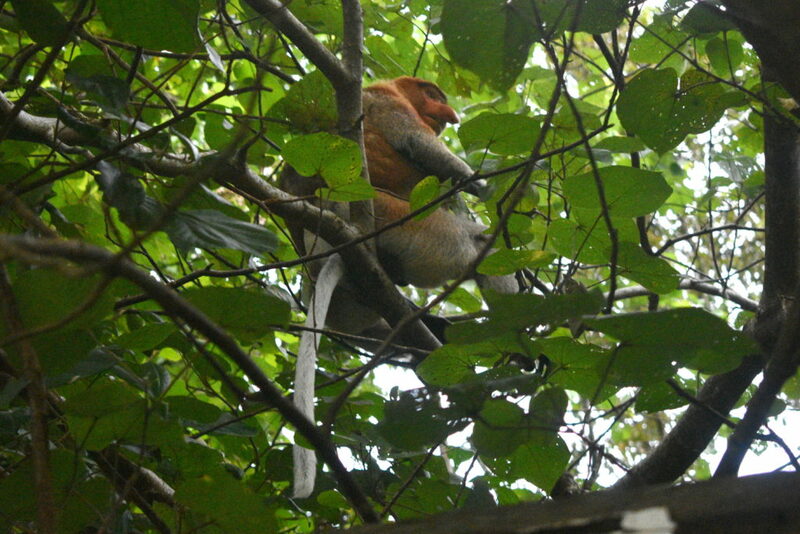 During the 3 days that I spent here, just walking around the lodges I saw different types of macaques, bearded pigs, snakes, birds… but most of all I could see the star attraction of the park: the proboscis monkeys. It was really thrilling to be in contact with such beautiful animals, especially if you take into consideration the fact that their habitat it’s being reduced because of human greed, and we don’t know what the future will be like for them. 1) FOOD: it is always disappointing for me to see meat and fish served at sanctuaries, parks and other places that devote themselves to the conservation of some animals, but keep on thinking that you can just kill and eat others. At the canteen hey serve a small selection of vegetarian and accidentally vegan food here, but also a lot of meat and fish. 2) CROCODILES KILLING: over the past 3-4 years newspapers reported the presence of crocodiles around the waters of the park; it looks like one was captured and taken to Matang Wildlife Centre, and others are being “culled” (meaning KILLED) to reduce the population. 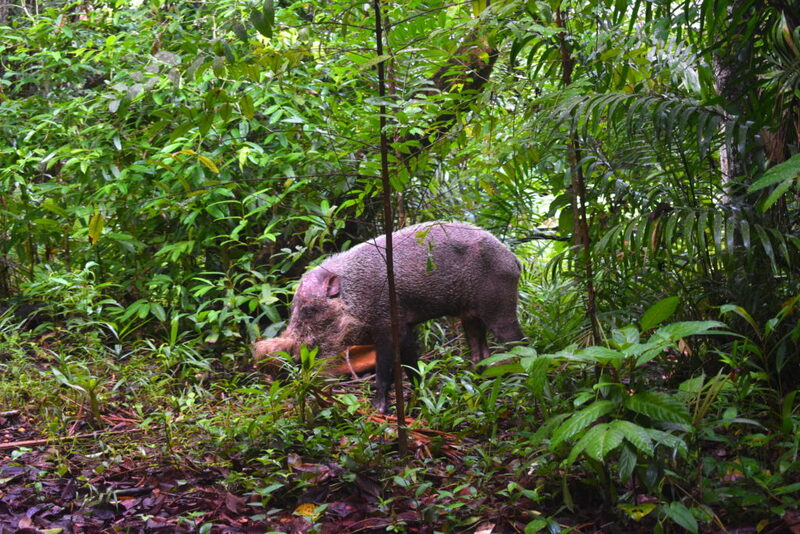 All this activities were apparently conducted in association with the help of the Sarawak Forestry Corporation (again, it looks like it is right to protect some animals and kill other just for humans’ sake. You can rent a bed, a room or a full house through the official site of the park, it’s really cheap and the standards are good. We spent less than 50 euros per night for a full house for 5 people. BUS: I read online that there is bus from Kuching to Bako, but honestly I couldn't see it nor understand its schedule. According to the people here it's very unreliable.